Walter “Carl” Miller, 65, of Lewistown, passed away, Saturday, Sept. 8, 2018, at Ohesson Manor. He was a son of the late Calvin E. “Ed” Miller Sr. and Marie C. (Adams) Miller. 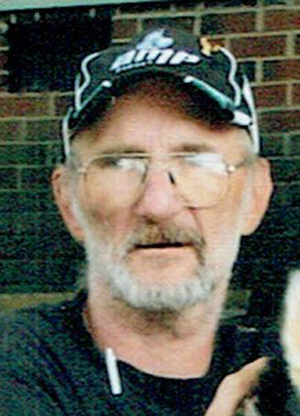 In addition to his parents, he is preceded in death by a twin brother, Calvin “Ed” Miller Jr.
Born June 15, 1953, in Lewistown, Walter is survived by: wife, Alice L. (Romig) Miller, whom he married in October of 1985; children, Frances Horne and husband, Raymond, of McClure, Christina Taylor and husband, Barry, of State College, BJ Miller and husband, Keith Sowers, of Lewistown, and Carl Allen Miller and wife, Misty, of Lewistown; grandchildren, Christopher Miller, Zachary Horne, Jocelyn Sowers, Nathaniel Horne, Callen Miller, and Conner Miller; great-grandchildren, Nathaniel Welsh, Piper Welsh and Jackson Sims; and sister, Diana M. Putnam and husband, Larry, of Lewistown. He was a Penn Highlands Lewistown Campus graduate, Class of 1973. He enjoyed hunting, fishing and camping. He liked to help Harry Blessing with the H.S. stage crew. Walter loved spending time with friends and family, especially his grandchildren. A graveside service will be held at 1 p.m., Thursday, Sept. 13, 2018, at Lind Memorial Cemetery, with Rev. Darvin Donahey officiating. Arrangements are under the care of Hoenstine Funeral Home Inc., 75 Logan St., Lewistown. Online condolences may be offered to the family at www.hellerhoenstine funeralhome.